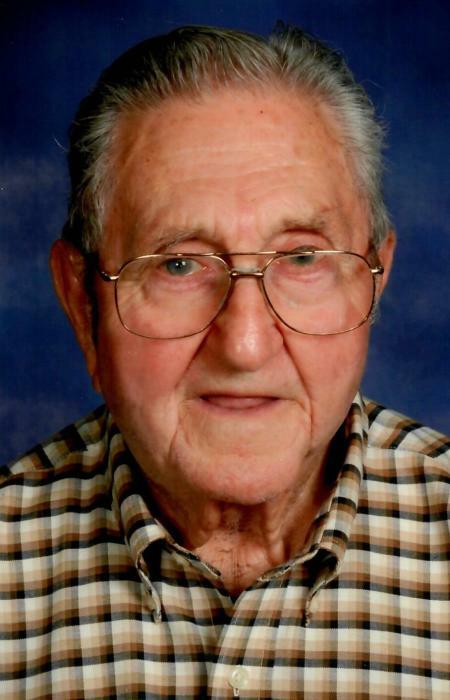 John J. Thatcher, age 90, of Monee, died Sunday, August 19, 2018 at Riverside Medical Center in Kankakee. Visitation will be from 4 p.m. to 8 p.m. Thursday, August 23, 2018 at the Fedde-Helfrich-Cross Funeral Home in Peotone. A Mass of Christian Burial will be held at 10:30 a.m. on Friday, August 24, 2018 from St. Boniface Catholic Church in Monee. Father Roger Kutzner and Father Dan Hoehn will officiate. Burial will be in Peotone Cemetery. Memorials to the family wishes would be appreciated. Mr. Thatcher was born July 24, 1928 at St. Francis Hospital, Blue Island, IL, the son of Andrew and Lola (Fritz) Thatcher. He was a retired steel worker at Acme Steel in Riverdale and a long time farmer. He was a proud member of St. Paul the Apostle Catholic Church in Peotone. He enjoyed farming, gardening, and especially fishing. He especially enjoyed his time spent in Freemont, Wi on the Wolf River with his wife, Myra. He so enjoyed spending time with his children, grandchildren, great-grandchildren, family and friends. He was preceded in death by his wife of more than 66 years, Myra (Eylander) Thatcher whom he married Jan. 31, 1947, in Blue Island. She passed away June 18, 2013. He is survived by three children, Janet (Gary) Hase, of Monee, Joyce (the late Keith) Albers, of Peotone, and Jimmy Thatcher, of Peotone; two daughters-in-law, Rosalie Robbins (the late John A.) Thatcher and Debra Friddle (the late Joe Thatcher), both of Wilmington; 9 grandchildren, John (Jody) Thatcher, Raymond Thatcher, Angela (Ed) Brandau, Shannon Emmons, Justin Friddle, Gary (April) Hase, Matthew (Jennifer) Hase, Julie Hase (Richard) Balow, and Ashley Thatcher; 15 great-grandchildren; a brother, Robert (the late Esther) Thatcher of Beecher, IL; and a sister, Mary Ann Danielson of Westminster, CO.
Mr. Thatcher was preceded in death by his parents; his wife; two sons, John A. Thatcher (April 4, 2012) and Joe Thatcher (April 12, 2012); a son-in-law, Keith Albers (March 4, 2009); and a granddaughter, Stacey Thatcher.